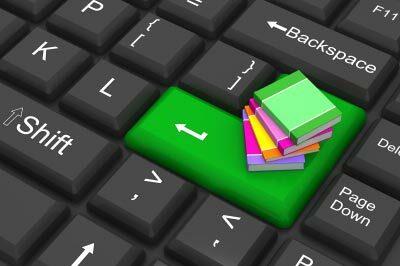 Key Growth Drivers for future of e-Commerce Industry | Business Article | MBA Skool-Study.Learn.Share. ­­­We are living in changing times. In a matter of few decades almost everything has transformed at an alarming pace be it means of transportation and communication or ways of production and manufacturing or leisure and entertainment activities. The trends have mutated so drastically that a bicycle has been replaced by PS3 as an obvious birthday gift choice by a 9-10 year old. From this metamorphosed universal set the dramatic growth of e-commerce industry grabs everyone’s attention. E-commerce is changing the way the world shops. It is also changing expectations with plethora of advantages like convenience, variety of options accessible within few clicks, lower costs, lesser paper work, 24X7/365 shopping, market for niche products and many more. No one would have imagined that it’ll be possible to order a product as small as a pen to as big as a home theatre system in a matter of few clicks. 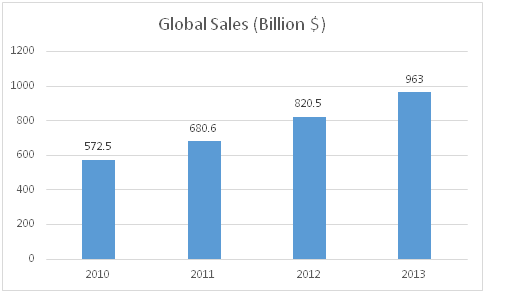 In the year 2013 global E-commerce sales touched the $1 trillion mark and market size is still growing at a healthy pace of 19.4%. The trend of online shopping is set to see greater heights in near future due to changes in supporting ecosystem. Let’s look at the various key factors driving growth in this young industry. 1.) Internet penetration and usage: With increasing user base there has been exponential increase in internet usage. With advent of tablets, phablets, smartphones, 3G the internet dissemination has gained impetus. Also the trend is expected to proliferate with the declining prices and increasing market of smart devices equipped with most features of a laptop or a notebook. More and more users are using internet for banking, shopping and travel reservations thus increasing the frequency and time of internet usage bringing further traffic. 2.) Addressing Logistics: The brand image of e-commerce firms may get tarnished due to scarcity of quality logistics. The major problems faced in e-commerce logistics are late delivery, damaged/lost parcels, bad attitude of delivery people, slow cash-on-delivery, lengthy return procedures and no special services such as installation or “product try-on”. For tackling such problems firms can either build their own logistics system or acquire or partner with existing logistics companies. For example, 360buy.com posted a 300% growth rate in the last five years after logistics logjams forced the company to establish its own express delivery operations, headquartered in Shanghai, in January 2009. With help of its own network, this consumer durables, computer and telecom company now provides same/next day deliveries from four distribution centers in Beijing, Shanghai, Guangzhou and Chengdu. However, this only works only for efficient firms with large volumes, especially in last-mile delivery, which mostly accounts for half of total logistics costs. For instance, with fewer than 500 deliveries per day in a city, having a company-owned delivery team could cost more per parcel, eating into profits. The cost per parcel will drop with more than 10,000 deliveries per day in a city. Better solutions will come from strategic partnerships among e-commerce firms and third-party logistics. Alibaba, the Chinese e-commerce giant invested $4.5 million in Star Express and has future plans to build a network of warehouses across the nation (will be investing $4.6 billion in next 5 years). Although in terms of total numbers Flipkart and Jabong are clearly dominating. But looking at the T-shirts of miscellaneous types Myntra has the maximum numbers despite its lesser number of t-shirt offerings. The miscellaneous type t-shirts are usually priced 1.5 to 2 times than the other types. This is a win-win situation as customers get the fresh designs and e-commerce companies earn premium for the unique t-shirt. 4.) Plastic Money: Enhancements in payment gateways have drastically improved the security and usage of plastic money. There are multiple levels of authentication like one-time passwords (OTPs) and transaction passwords strengthening customer confidence in online transactions. Credits cards are the most popular payment instruments in the major e-Commerce markets worldwide. Therefore, strengthening the card system will prove pivotal in ensuring higher uptake of credit or debit cards for making payments fostering growth. This could help e-commerce players Reduce the cost of offline payment methods. 5.) Multiple Payment Options: The availability of new payment options boosted the e-commerce industry in 2013. China’s leading third-party online payment solution allows individuals and businesses to execute payments online in a secure manner. Its service called escrow has made consumers confident about conducting online transactions without being concerned about product delivery and quality issues. This is because payment is only released to sellers when consumers confirm the delivery of orders. 6.) Comprehensive Mobility: The mobile internet user base is growing, aided by the introduction of 3G data plans and declining smartphone prices. Telecom operators are incentivizing mobile internet usage by reducing tariffs and providing unlimited usage facilities. They are offering infinite internet browsing plans at a throwaway prices but the user-experience is still underdeveloped. The growth of mobile internet is encouraging. However, all the components of this growth, e.g., smartphones usage, mobile internet penetration and mobile internet speed, would need to be developed in tandem to support the growth of e-Commerce in the country. User experience on e-Commerce websites also needs to be improved, as most of these sites are not optimized for mobile devices. Moreover, not all e-Commerce sites have well developed mobile apps. Known that an increasing number of people would access internet on their mobile devices, e-Commerce players need to step up and develop mobile websites and apps for major mobile platforms transition to become mobile-commerce companies. The addition of only 4 million new ecommerce customer in year 2013 implies that retaining existing customer instead of luring new ones is another metric that ecommerce firms need to be wary of. Having said that all there is no fixed parameter or factor that can exactly predict growth of ecommerce and the dynamics will continue to evolve. A combination of all above factors has worked to for ecommerce industry. Still ecommerce is a lot about discovery and serendipity. One can say that ecommerce space will get more and more crowded with growth before profits fall and the increasing competition turns water bloody. The article has been authored by Mohit Gaur, NMIMS Mumbai.